MAIA CHANCE:Well, obviously cozy mysteries do cultural work. Yet, when I’m asked to describe the books I write, oftentimes I catch myself being vaguely apologetic. 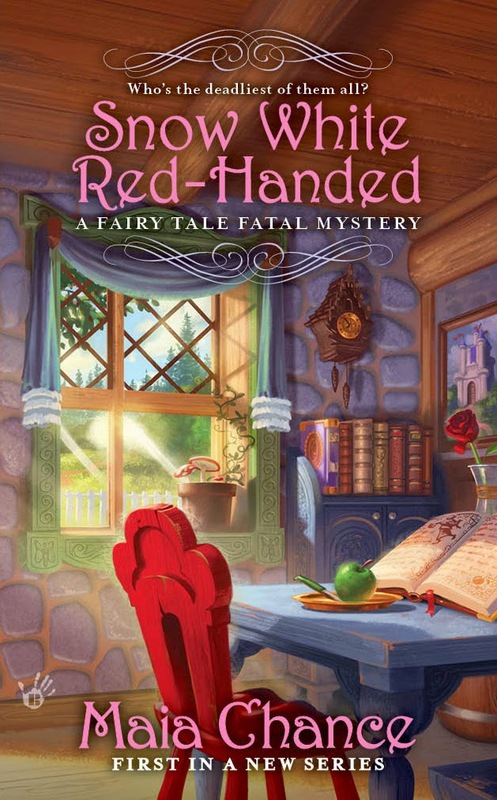 My debut mystery, Snow White Red-Handed, sports the fantastical premise of a heroine who could’ve done a walk-on role in Little Women but who finds herself mired in murder and fairy tale lore in the Black Forest. Absurdity and intrigue factor in . . . heavily. Long, stony looks at Tough Issues? Not so much. Certainly, my books must have some sort of political unconscious, because all books do. My books even have a certain amount of political consciousness, mostly about body politics and being a female person in limited circumstances. So yeah, I write about class, gender, age, and sexuality, but I only touch upon "race” and the sheer ugliness of violence. Should I blame it on the genre? 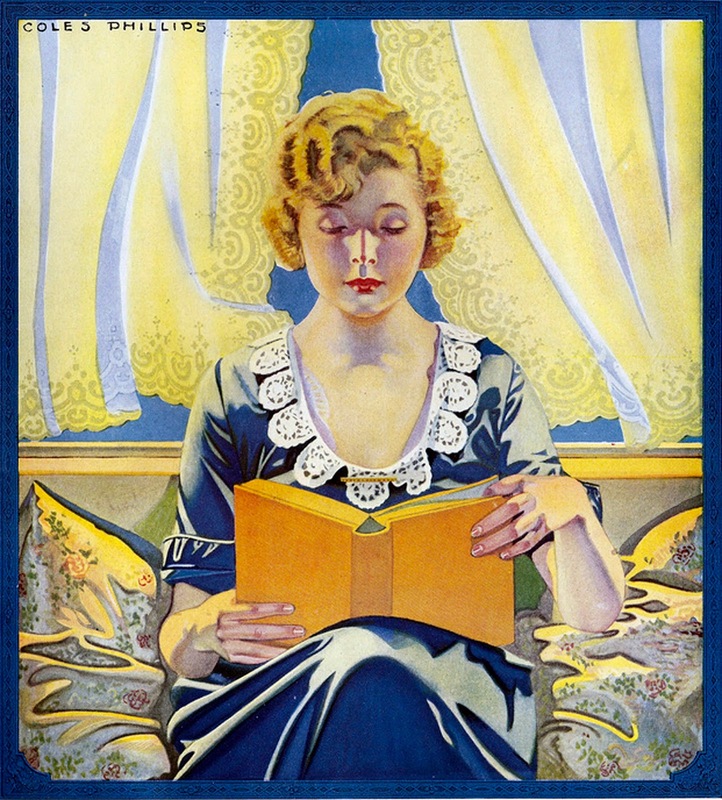 Are cozy mysteries bastions of white, middle class fantasy? Are they blind to the realities of violence? Um. Maybe, sometimes. What an unnerving thought. If a writer presents a model of reality, that model has power. Power to offer an alternative vision. Power to critique reality. And any piece of fiction, whether it falls in a "serious" genre or not, possesses that power. With power (as Spider Man’s uncle makes clear) comes both responsibility and opportunity. So I won’t be apologetic anymore about writing cozy mysteries. But I will work to embrace the opportunity of writing self-contained models of what is wrong and right, ugly and beautiful, dismaying and enchanting, about the world as I find it. And readers of cozy mysteries (myself included) have the opportunity to puzzle through those Tough Issues, not with grim despair, but with optimism and humor. Find Maia on FACEBOOK, Twitter, and Goodreads. “I’m doing my utmost, ma’am,” Ophelia said, straining to cinch Mrs. Coop’s corset laces. After luncheon, Mrs. Coop had returned to her cream-and-gold jewel box of a boudoir, high in a turret of the castle, to change into her afternoon gown. She’d been breathless and disheveled, and determined to shrink her waist to a smaller compass. Mrs. Coop’s disarray, and her sudden wish to appear pixie-like, resulted, Ophelia suspected, from the presence in the castle of either Princess Verushka or Mr. Royall Hunt. Mrs. Coop and Miss Amaryllis had made the acquaintance of these two fashionable personages at some point in the last two weeks’ frenzy of excursions into Baden-Baden. Ophelia had performed with P. Q. Putnam’s Traveling Circus for two years, and she’d known a so-called dwarf. He’d been a shrimp, true, but there hadn’t been a thing magical about him. Unless you counted swearing like a sailor and smoking like a house on fire as magic. Ophelia held her tongue; she was stepping out of character. It had to be the result of exhaustion. Mrs. Coop and her stepsister Amaryllis—they had, Ophelia had learned, different mothers—kept her on her feet from dawn to dusk, arranging their hair, pressing their clothing, mixing beauty concoctions, and running up and down the spiraling castle stairs fetching things. But how could anyone past the age of pigtails think Snow White and the seven dwarves had really existed? Welcome, Maia! I think I've just found my new favorite series. And I love cocktails, too! Nice to meet you! I LOVED the excerpt, so of course your books have been added to my TBR list. My grandmother used to tell us her own versions of the fairy tales; she probably would have liked your books too! Sounds like fun! Welcome to Jungle Red, Maia. Ophelia Flax. Amarylis. Princess Verushka or Mr. Royall Hunt. Plese, tell us where you gt your names. This is a very timely post for me. The panel I am moderating at this year's Bouchercon in Long Beach is on "Cozies with Attitude" and this is exactly the type of thing I hope to cover. Cozy is a style that is evolving, more so in the current marketplace than in any time I can remember from the past. Part of this is because readers are more open to expanding those limits and part of it is because writers want to be able to express themselves fully, rather than be confined by artificial guidelines. Your book sounds great Maia and it has definitely found a place on my TBR pile. Thanks for stopping by. I think any genre can tackle the "tough issues" in their own way and Krisopher is right. Cozy is an evolving sub-genre as readers expand the definition. So much so, that I have trouble really defining it these days. And those are fabulous names. Just saying. Laughing already! Humor--tongue-in-cheek--just what the worlds needs when the headlines blare out strife and despair in equal measures every minute of every day. Just finished a cozy that made me laugh and yet at the same time managed to deal with relevant environmental issues, as well as educate me on a topic I already thought I knew well! Can't wait to get my hands on both your series, Maia! Just added your book to my TBR list. Is that a picture of Snow White? Thank you for the welcomes and comments, everyone! I just love the ENERGY on this blog! Kristopher--how very cool that this is a topic being covered at Boucheron! Looking forward to that. This sounds like way too much fun. I am going to have to read your book. After all, I am a huge Once Upon a Time fanatic. Yes, you can work cultural issues into your book, but they can be forced into the book and actually weaken it, too. If your plot includes it, fine. But going out of your way to talk about all your pet issues? That will turn off readers. Especially those like me who read to escape the news of the world. I don't want to be lectured to in my fiction as a result. Sounds delightful, Maia -- congratulations! Love what you're all saying about expanding the cozy world, as my next book explores homelessness in Seattle as well as spice, the Pike Place Market, and murder. I think of it as a social justice cozy! Maia, what a fun series this is going to be to read. Your enthusiasm in writing it translates into books with great zing. I might add that there even appears to be a twinkle in your eye, which promises wit and adventure. I am a big fan of fairy tales and their twisting. As a fiction writing assignment when I worked with fourth grade students, I had them rewrite a well-known fairy tale from the perspective of the bad guy/gal in the story. Hence, in Snow White, it would be the wicked queen's side of the story. There's nothing new in twisting the tales in perspective, but the students enjoyed the assignment, and it helped them realize that they did indeed have an imagination to use in writing. John Scieszka in his book The True Story of the Three Little Pigs is a hit with kids (and adults). And, those of us old enough to have loved The Rocky and Bullwinkle Show probably loved the Fractured Fairy Tales segment. Yes, I have a DVD of them. 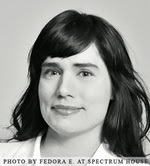 So, Maia, here you are offering a cozy mystery series using fairy tales as your thematic connection. Wow! I'm so excited to get in on the ground level of it. Fairy tales and mystery! A combination I didn't even know I longed for. With names like Royall Hunt, how can this series not be an enchanting delight! Mark, you are so right--if we try to force issues into our fiction, it can stop readers cold. Kristopher, wish I was going to be there for your panel! which authors are on it? I love that you've incorporated fairy tales into a cozy series, Maia! Your post got me thinking about Agatha Christie's novels. I just re-read a Poirot--hadn't read her since I was a teenager--and I was surprised by her humor and how she pokes fun at certain norms of the time. She actually had a lot to say about class and gender issues. Lucy, I have Wendy Tyson, Vicki Doudera, Judy Clemens, and Bharti Kirchner on the panel. We're going to miss you on the Jungle Red Panel, Lucy. Maia, what fun! Loved the excerpt, and you had me at "dashing yet mysterious scholar." And I love cocktails, too. Definitely looking out for your book. PS As for cozy mysteries doing cultural work, I think everything that is well written with authentic characters contributes, and making a distinction between "cozy" and "serious" mysteries is just snobbism. I do agree Deb, but I have to say that using the term cozy does help to define a style of book, just as a thriller is different from a techno-thriller. But we must be careful not to attach stigmas to certain styles, certainly. All else being equal, I don't think any one style is better or worse than another. Sorry, that above comment from from me. Very creative and love the style of writing. Every work of fiction created an alternate reality. This alternate reality sounds delicious an fun. Leslie--Pike Place Market in a mystery? That sounds awesome! Are you a Seattleite like I am?? Lisa--I, too, noticed that Agatha Christie does address "issues" with a light touch, for instance post-war ethnic stigmas in Britain. It's never lecture-y, though, just worked into the dialogue and characterizations. Kathy--I love the sound of your students' writing assignment. Everyone loves fairy tales because I think we all share in their ownership and interpretation, unlike "Literature." Deborah--Good point about the distinction between "serious" and "cozy" mysteries boiling down to snobbism. Lightness and humor aren't necessarily "dumb." Maia, I too have added Snow White to my "To Read" on GR. It looks wonderful! I love the idea of giving readers "the opportunity to puzzle through those Tough Issues, not with grim despair, but with optimism and humor." I write cozies set in rural Hawaii. Race, gender, class and colonization are important and ever-present issues. It requires a good deal of care to accomplish the "light touch," neither too preachy nor too flippant. Kristopher, I hope to make it to Long Beach for the "Cozies with Attitude" panel! I'm all about reading just for the pleasure of reading and enjoying the story being told . . . I loved the excerpt --- thanks so much . . . . Yes, Kristopher, this is definitely a cozy with attitude! Brilliant! Make sure we all know about your panel..and Maia--love it! This is great. Thank you ! What an exciting premise for a series. Looks terrific, thanks so much for featuring Maia Chance, Lucy. Loved the excerpt, witty and fun. You had me at "absurd predicaments." I am so looking forward to both of these series, Maia, they sound like great fun!